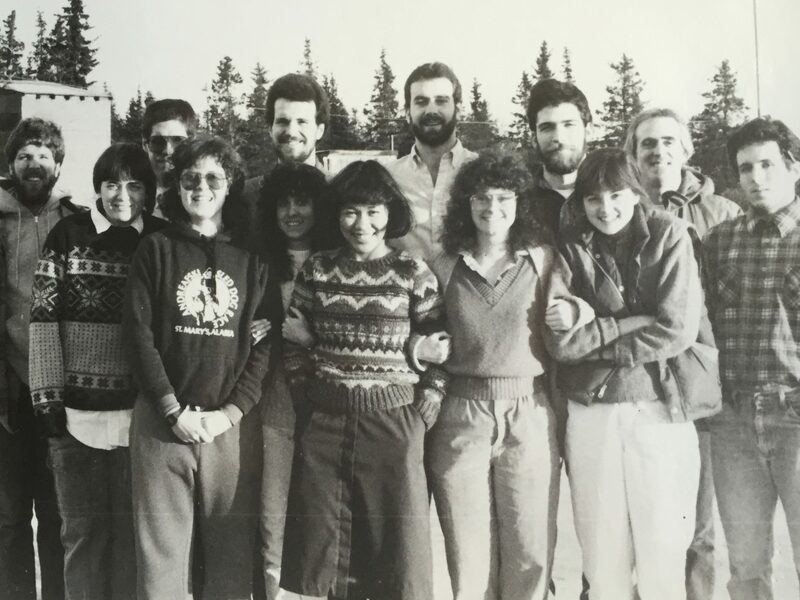 This month’s Featured FJV, Patty Enrado (St. Mary’s, AK ’86-87), writes about her newly published book and how the combination of writing and service has guided her life. “In September 2015, at the Filipino Community Hall in Delano, Calif., I read an excerpt from my historical novel, “A Village in the Fields”. 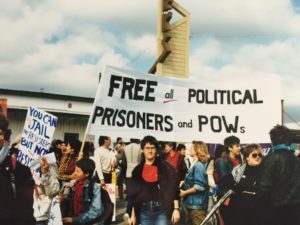 The local chapter of the Filipino American Historical society was hosting a celebration of the 50th anniversary of the Delano Grape Strike, an event most people associate with Cesar Chavez and the United Farm Workers union. Few people know, however, that Filipino-American farm workers initiated the strike for fair wages and better working conditions, and made important contributions to California’s farm labor movement. 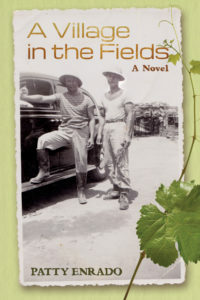 It took 17 years to research and write my debut novel, to bring their story – my relatives’ story – to light by way of my elderly protagonist, Fausto Empleo, who looks back on his long and costly struggle for civil rights. forces that shaped my life’s path – the desire to be a writer, to be empowered by the written word and to share an understanding of the world with others, and the desire to make the world a better place, to help others who are less fortunate than I. 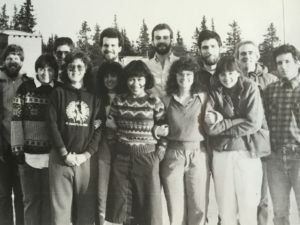 As a child, I had planned to join the Peace Corps after college, but when I didn’t get accepted, I researched myriad volunteer organizations and was drawn to JVC Northwest because of its four core values: community, simple living, social & ecological justice, and spirituality. When I was a student at the University of California at Davis, I was part of a tight-knit singing group at the local Catholic Church, so I was already comfortable with community and sharing spirituality. I was open to the idea of simple lifestyle and, of course, social justice was part of my DNA. 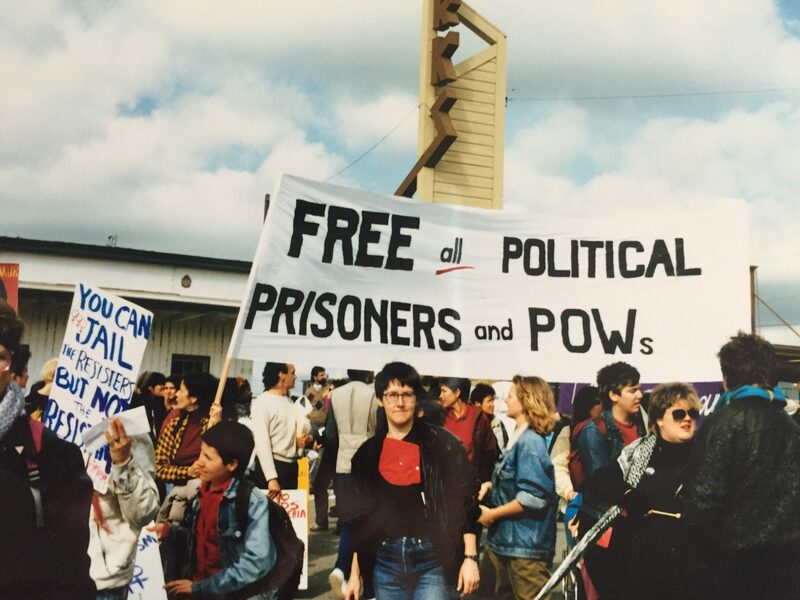 then as a newspaper editor for a prisoners’ rights union run by a Jesuit priest in San Francisco – I experienced life-changing adventures and formed life-long friendships. But it has taken all these years to fully appreciate what I have gained and how the four values apply to my life today. I have learned that being a part of a community, or various communities, enriches and keeps our humanity intact. For me, spirituality is personal and unspoken but present in every day. Simple lifestyle is decluttering the mind – whether it be letting go of material possessions or self-absorbed thoughts – to see everything and to be more mindful of life at that moment and life around me. And happily, my two passions have merged – through my writing I have the ability to bring awareness of social justice issues to a larger audience. All of these tenets are quietly a part of my life now. I say “quietly” because they have taken on different manifestations. Through the years, my husband and I have supported public education by being involved in our children’s schools – from creating after-school enrichment programs to GATE programs in a district where more than 50 percent of the students are eligible for free or reduced lunches to co-chairing an academic excellence program at the high school to provide resources for all students to be college ready. Our family established the Seedling Scholarship, a need-based scholarship at our local high school that “recognizes and supports a graduating senior whose passion in life is to be a social change agent and whose goal is to make the world a better, more inclusive place for their fellow human beings and/or by being compassionate stewards of and advocates for our environment and the animals on our planet.” One of last year’s recipients was a homeless student who is now attending a California State University school. I also am invested in our community, having been a committee member of our local LUNAFEST, a traveling film festival and fundraiser for the Breast Cancer Fund and local organizations, for the last four years. Both our kids have volunteered to help with the event, and more importantly, both understand the importance of recognizing women filmmakers in an industry that is still not gender equitable, raising money for worthy organizations in our community, and raising awareness about the environmental hazards that cause breast cancer. Patty Enrado lives in the Bay Area with her husband and their two teenagers, dog, two rabbits, and two geckos. 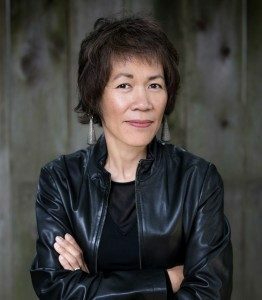 When she’s not writing or editing content about health information technology for her day job or at work on her second novel, Patty can be found gardening, reading, cheering on the Golden State Warriors and Oakland A’s, or watching depressing foreign films. Find out more about her here.